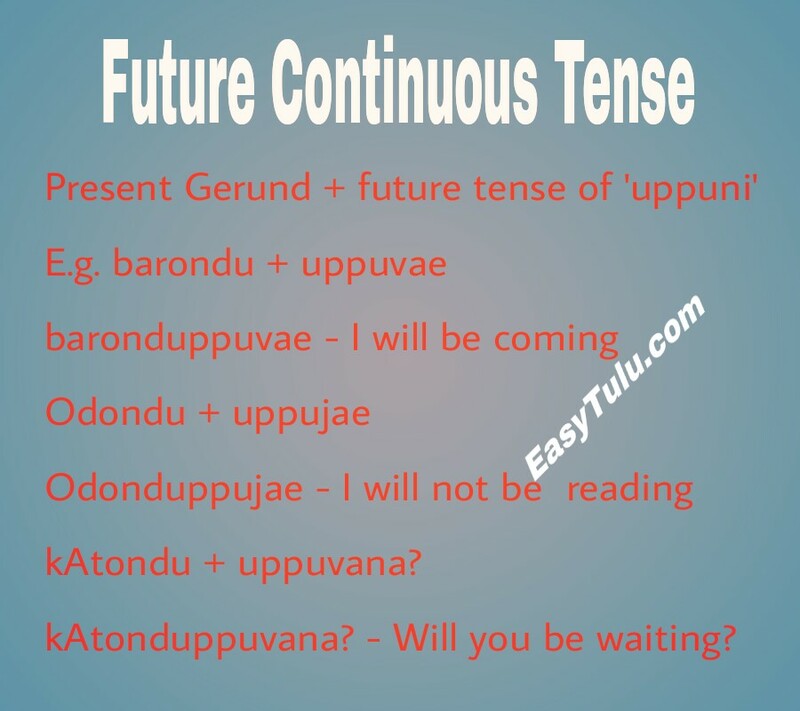 As you remember, we have studied past and future continuous/perfect tense for the past couple of weeks. Normally “when” and “while” used with these tenses to express the time at which action takes place. I was eating lunch when he came. As you see in the first example, we have ‘When’ plus two other tenses. We have past continuous tense at one side and simple past tense at the other. 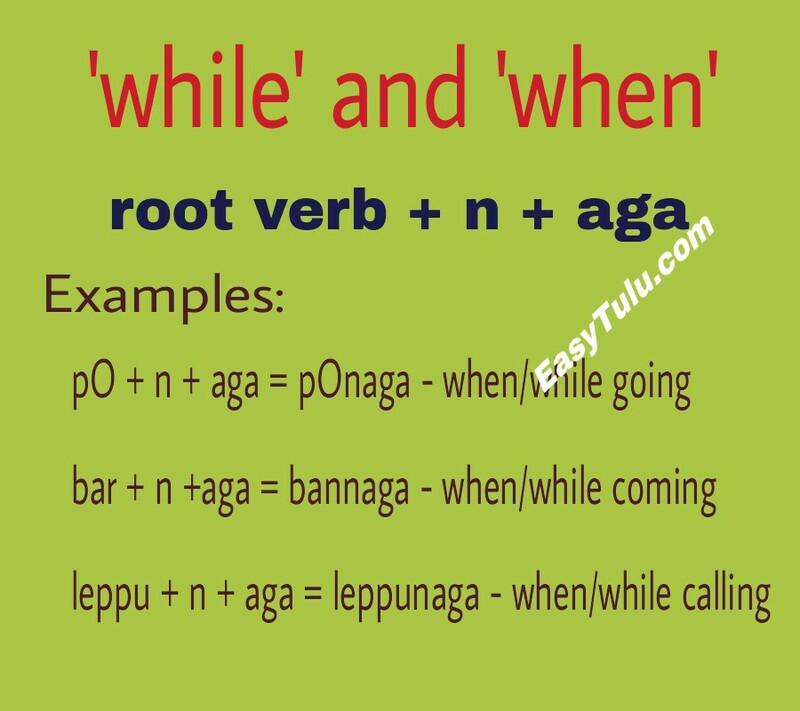 But in Tulu we do not need to use two tenses, instead we add a suffix ‘aga’ (derived from the adverb ‘apaga’ which means ‘that time/then’) to the root verb with additional ‘n’ sound in between. This form can be used with any tense. OK, now let us translate above sentences to Tulu. 1) I was eating lunch when he came. English: She was going when I saw her. 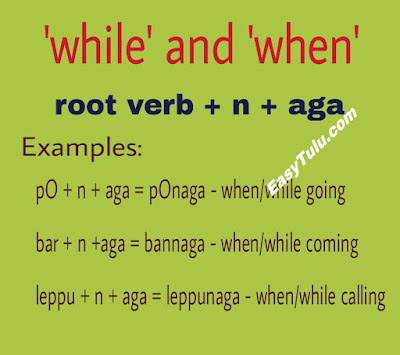 As you see in the above examples, the same form (root verb + n + aga) is used in all the tenses (Present, Future and Past). However, when we want to emphasize the past tense, we can use the below structure sometimes. This form is also used with negative infinitives. English: Will lots of people be coming? Kannada: tumbA jana bartA irtAra? English: What will he be doing? Kannada: avanu Enu mADtA irtAne? English: They will be studying until 5 o'clock. English: I will be playing until teacher comes. English: They will not be waiting until 6 o'clock. 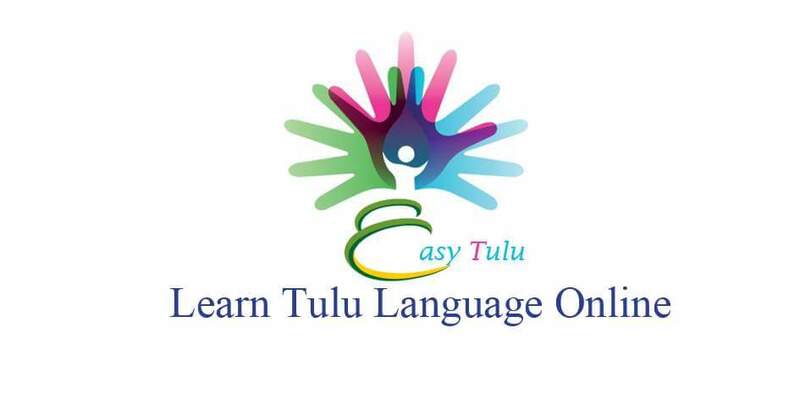 Today we are going to learn one more tense in Tulu, i.e. 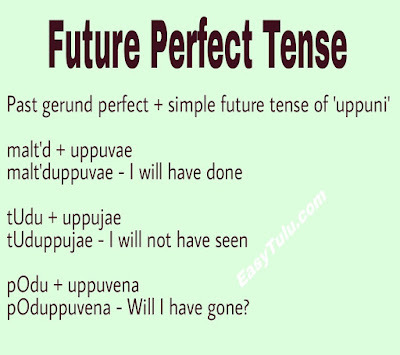 Future Perfect Tense. 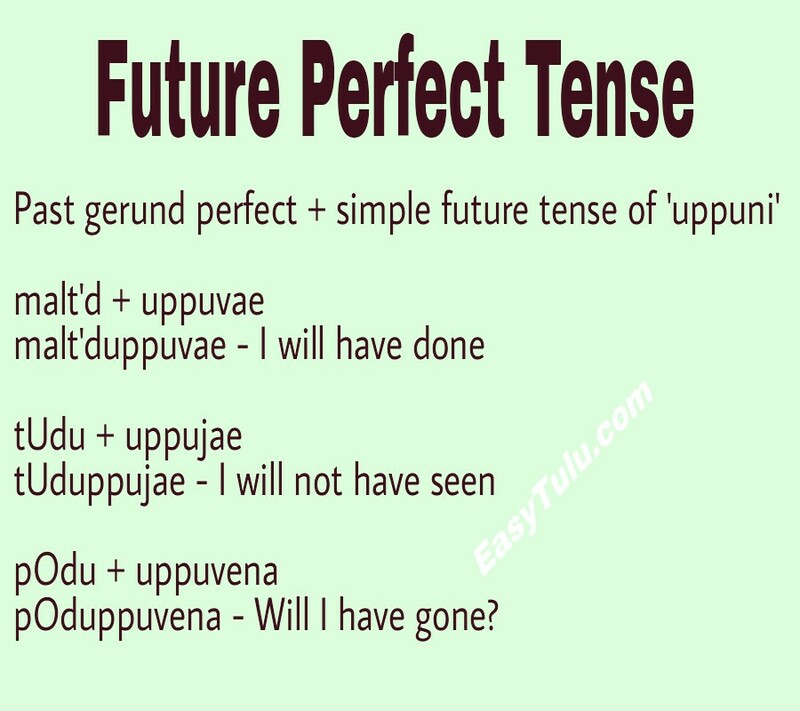 The future perfect tense used to express a completed action in the future. As you see, this structure is similar to what we have in present perfect tense, but an additional auxiliary verb ‘will’ is added in between. As I said earlier, in Tulu, Simple Present Tense also used to talk about actions that will happen certainly in the future. English: They will have slept by 10pm. English: Will you have forgotten me? English: Will the children not have gone to school? I hope you enjoyed the previous lesson. 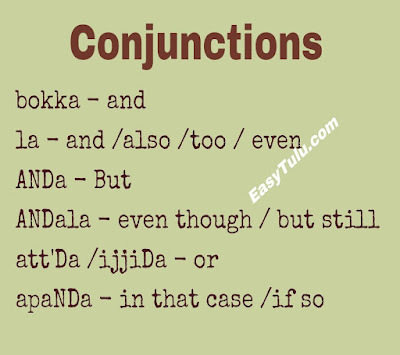 Today, we are going to learn conjunctions in Tulu. 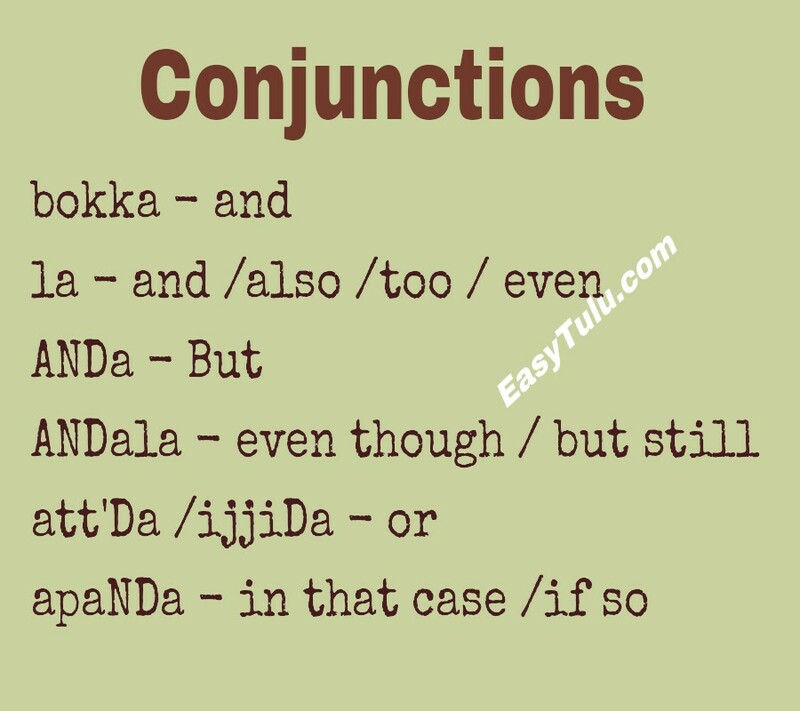 Conjunctions are words that link two parts of a sentence. Tulu: yAn kuDlag pOvondulle, Ila barpana? English: I am going to Mangalore, will you come too? Kannada: nAnu mangalUrige hOgtA iddEne, nInU bartIya? English: I drink tea, but I don’t like coffee. English: I will come tomorrow or day after tomorrow. English: He had not studied for the exam, thus he failed. Tulu: I barondijjana? apaNDa, yAnla pOpujae. English: There's no coffee? In that case I'll have tea. English: This village is not only clean but also beautiful.